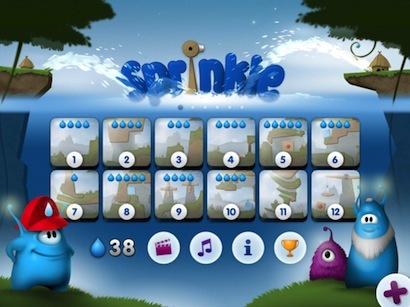 Experience H2O in a completely new way with Sprinkle! Armed with a crane mounted water cannon, move rocks, operate levers, turn water mills, and use pulleys to manipulate your surroundings, prevent the huts of the inhabitants of Titan from burning down and save the day! Never thought water could do so much? Well, think again! Talk about firefighting in style! 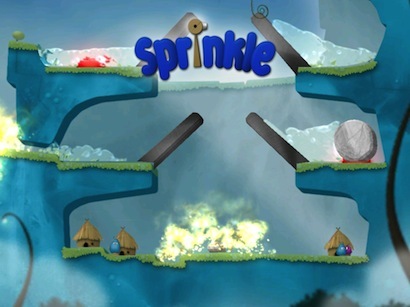 Compared to the much acclaimed simulation game ‘Angry Birds’, Sprinkle is actually more challenging than the former. Not only do you have a limited supply of water, you also have to put out the fire before any of the huts burn down - which introduces a time limit. 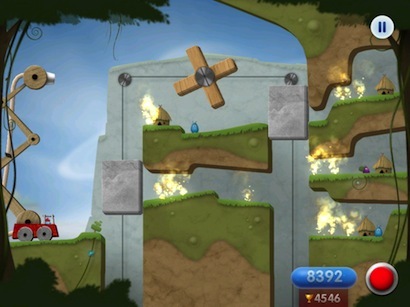 Another point to note is that the birds in Angry Birds can easily be related to real life by imagining them as balls being thrown using a sling, whilst it’s harder to do the same with water. 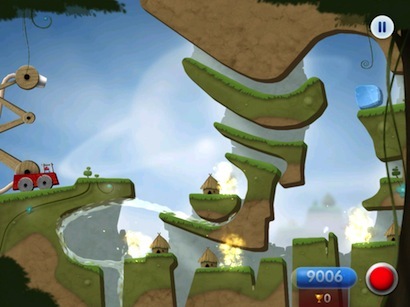 After all, how many of you have used water to move a giant ice cube and create a new path between two cliffs?! The rules? Simply adjust the height and angle of the water cannon to a suitable orientation and extinguish the fire before any of the huts get destroyed. The less water you consume, the more points you earn. Looking for a puzzle game with a twist? Sprinkle might just be your cup of water! Be sure to check out the short film that shows how and why the fire started. Download Link: Sprinkle: Water splashing fire fighting fun! Yusra Haider is an undergraduate Computer Science student who is just warming up to the global reach, greater interactions, intellectually and socially engaging opportunities of our times aka blogging. She has participated in a few MOOC courses and apparently she is hooked. Would love to have comments, feedback, criticism, accolades and all that lies in between.